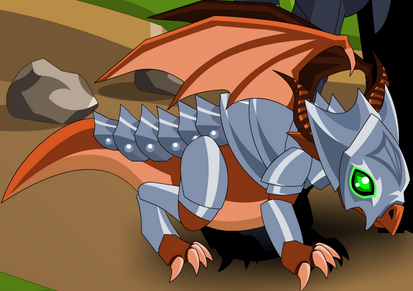 Description: An armor wearing collectors pet! This ultra rare is available in November 2008 to Members only. Previously called "Armored Red Baby Dragon".